Colorado Gadget Fix is your one stop shop for all of your companies or schools device repairs. Sign up to be a corporate client today! We deal with many businesses in our area. Handling all of their phone, tablet, and computer repairs! We make sure that the process from start to finish is as easy as possible for your employees, requiring little to no effort on your end. Almost all of our screen repairs are done same day, some even within an hour of dropping off. If we do not have the part in stock, we have multiple vendors that can get us the part overnight if need be. We strive to be your one stop shop for all things electronics! We have a 30 day net payment policy. This allows you to be able to send your employees broken devices in, have us repair it, and the invoice be sent to the company. All we ask for is a company ID and driver’s license to match. Once the repair is completed, an invoice is sent to the email on file, explaining which device was repaired, which employee brought it in, and what the exact issue was. We accept online payments, cash, and check! To be a corporate client, we will need a business license and have more than 3 devices needing services. We do of course offer lower rates for our corporate clients. All businesses receive a 15% discount on repairs! 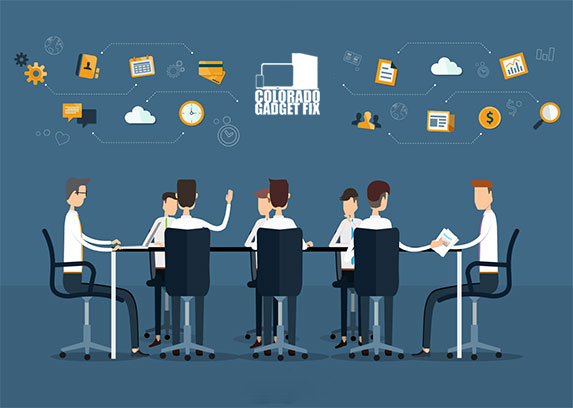 Colorado Gadget Fix has fixed thousands of devices over the years and we currently handle students who don’t have some type of repair set up with their schools. From laptop to tablet repairs, we can get them fixed same day and not require the student to mail out their device. No need to provide a student a loaner tablet or computer. 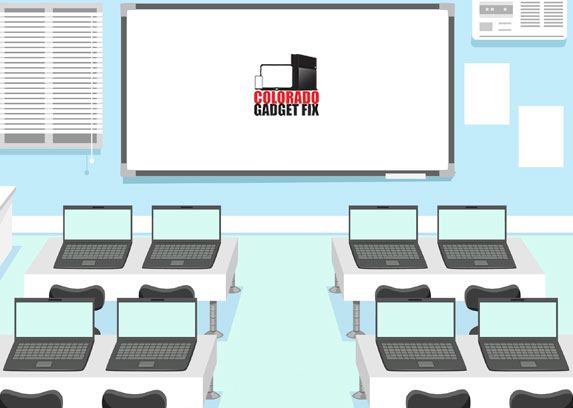 Your school district can rely on Colorado Gadget Fix to save thousands on your repair budget, same day turn around for most devices, all while still providing our unbeatable limited lifetime warranty!